at the beginning as a supporter dj and then playing in the Ligurian top clubs. the A.D. of “La Capannina Club” in Alassio. much more plaudits than the guests themselves. This success consolidates his position as Beat Generation resident dj. Beat Generation is the summer Tuesday night at ‘La Capannina Club’. 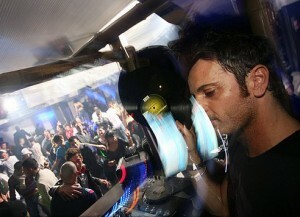 and ‘Fellini Club’ in Genoa on Fridays.